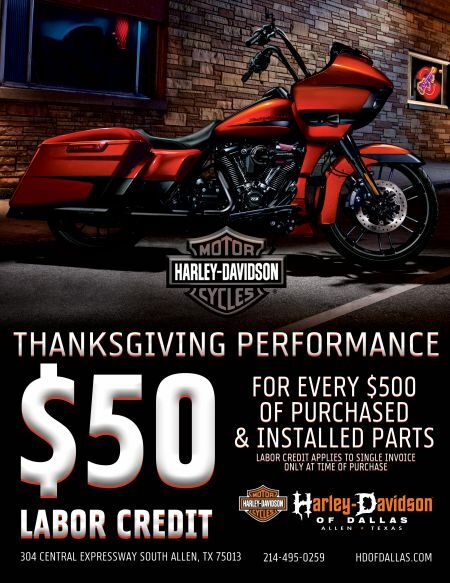 Genuine Harley-Davidson® Parts Installation -- With a $50 Labor Credit! Here's how it works: For every $500 of purchased & installed parts you buy, receive a labor credit of $50! What have you been waiting to do to your bike? Call our service department in Allen Texas to schedule. Labor credit applies to single invoice only at time of purchase. Some restrictions may apply. Please see dealer for details.